The Hard Way offers a Baha’i perspective on most of the issues that are being talked about today. It includes the quotations and statistics you need to discuss the issues knowledgeably. This 16 page, 6×10.5″ booklet has color inside and out, including graphs and illustrations in an easy-to-read magazine format. What does Baha’u’llah have to say about this? You might be surprised. 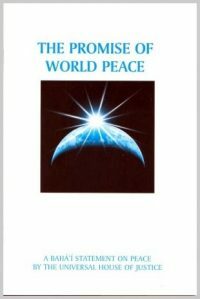 This booklet, written in 2009, offers a Baha’i perspective on most of the economic issues that are being talked about today. It includes the quotations and statistics you will need to discuss the issues knowledgeably. Bahá’u’lláh said we should eliminate the extremes of wealth and poverty. For a century Bahá’ís have presented this principle as a moral issue. This booklet explains why the gap between the ultra rich and the rest of us directly caused our current economic difficulties. The Bahá’í version not only explains our current economic situation in clear terms, but also shows how the teachings of Bahá’u’lláh offer a clear path towards a future solution. It includes over two full pages of Bahá’í quotations on economic issues. Use it for firesides and deepenings. Give it away at fairs and farmer’s markets. Share it with business leaders, economists, students, and anyone worried about the effect of consumerism and the global economy on the world’s ecology. If you would like to read the whole thing before buying multiple copies, click here to read my blog post. All three of them told us not to charge interest on loans. Bahá’u’lláh said we should eliminate the extremes of wealth and poverty. By Justice St Rain, author of My Baha’i Faith, True Wealth for Troubled Times, and Why Me? – A Spiritual Guide to Growing Through Tests.